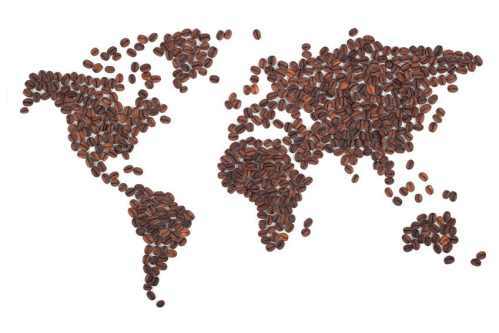 Not sure which Speciality coffee to try from our range of Coffees from around the world? An excellent alternative to Kenyan for those who desire a slightly fuller body. Ethiopian Djimmah is a delicious African bean with chocolate notes. This is an example of PNG coffee at its best. 180 women from the KOPAKAM Coperative came together in 2009 to form this women’s group after the 1994 Rwandan genocide that left many widows and orphans. The women focused on rehabilitating the coffee fields so that they could earn a living without their husbands. From the coffee sales, they raise funds to plant a collective coffee field, Ejo Heza – A Beautiful Tomorrow. They have invested the money for the community to have water access and they have also used the money to help poor members buy cows. There are now 247 women members with individual and collective farms. Wine and berry, vanilla, roasted almond, butter and clove with aftertaste of butterscotch and hints of orange. Smooth body and sparkle of acidity..